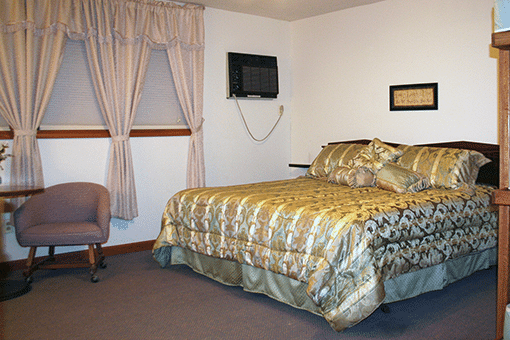 Camp Joy has a variety of accommodations available for adult retreats. Call ahead to check on availability of all accommodations. Reservations cannot be confirmed or guaranteed without advance notice. 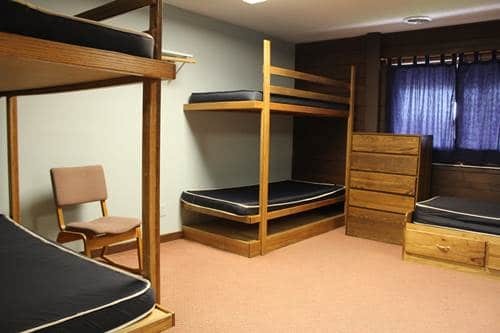 These cabins have several sets of bunk beds. They have a central bathhouse and are about one-half block from the lodge. 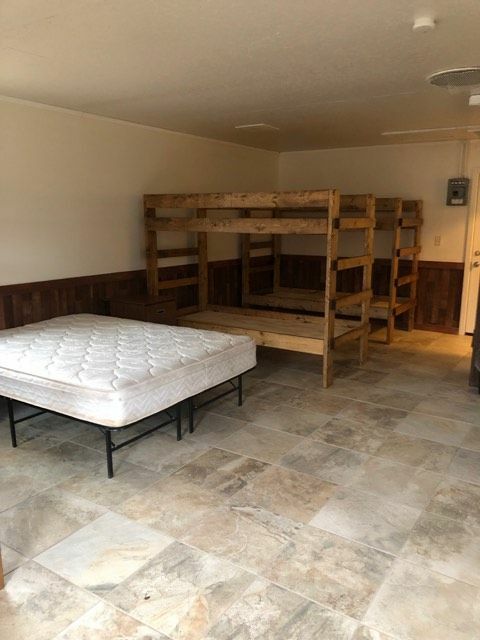 These rooms have four sets of bunk beds and restrooms on the hallways. The dining hall, game room and nursery facilities are in the same building. These are hotel-like rooms with air-conditioning and a private bath. They house two to five people. 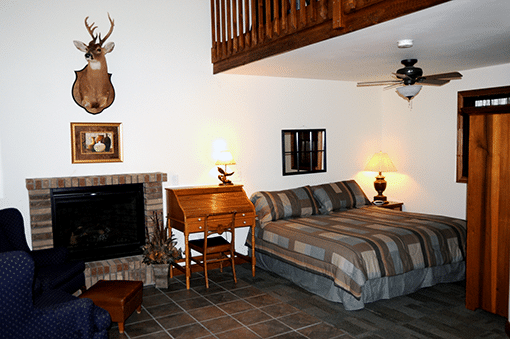 These are individual cottages with king-sized beds, fireplace and sitting area, air-conditioning and a private bath. There is a loft for additional sleeping quarters. They house two to eight people.